The CariVu Caries Visualization System is an easy-to-use, hand-held tool that uses transillumination technology to identify carious lesions and cracks in a patient’s tooth. As we glide the CariVu device up and down the patient’s teeth, a safe, near-infrared light shines on each side of the tooth. This bright light causes the tooth to appear transparent, allowing us to see through the tooth and determine its condition with high accuracy. The images picked up by the CariVu can be saved and displayed on screens in the treatment room, allowing for co-diagnostic between the dentist and patient. The images are read similar to x-ray images, where caries and cracks appear as dark areas in the image due to the light not being able to pass through the tooth. 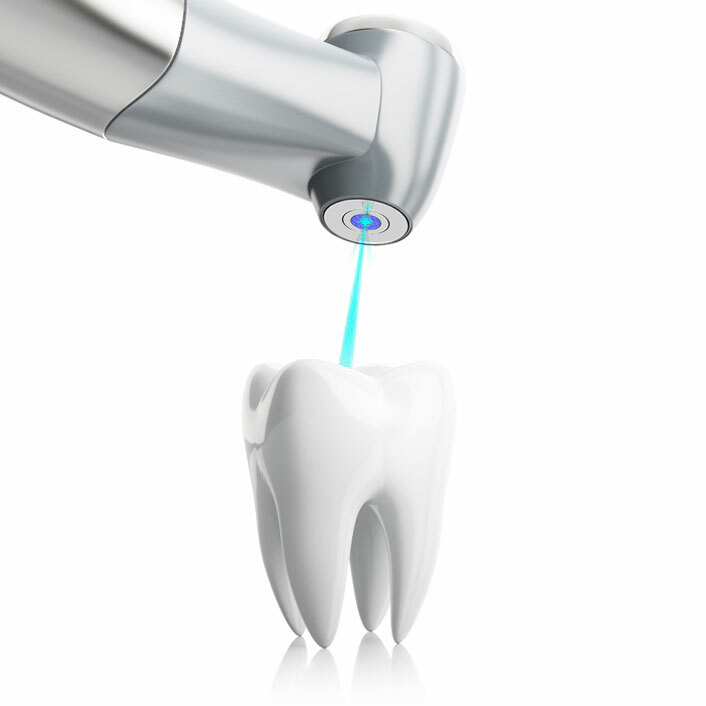 Because CariVu uses near-infrared light, teeth do not need to be cleaned prior to examination unlike fluorescent imaging technologies that have difficulty distinguishing between tooth bacteria and caries (cavities). The CariVu is great for patients of all ages because of its small size and comfortable fit in the mouth. This radiation-free device is also a great alternative for patients who avoid x-rays because of possible radiation exposure. Thanks to the CariVu, we can provide a safer, more comfortable and more accurate diagnosis.